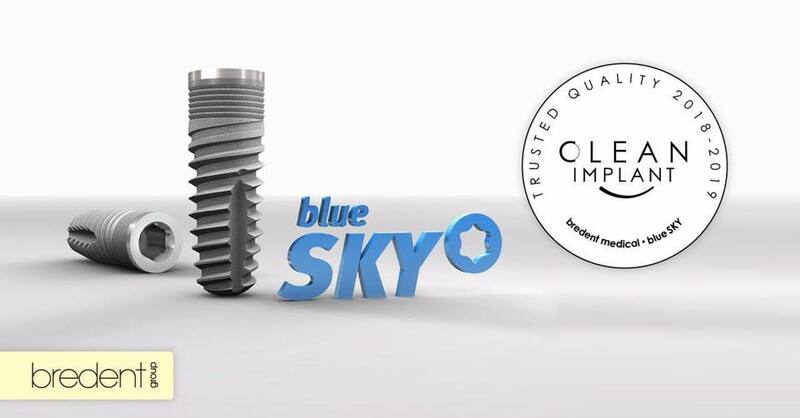 The coronally structured blueSKY titanium implant is perfectly suited to being positioned flush with the bone. ideally suited for flush placement with the bone and the use in the augmented ridge; the implant provides perfect preconditions to maintain a high level of bone height after placement. The primary stability of the inserted implant is increased considerably due to the innovative thread.